The newly appointed independent non-executive chairperson of the Spur Group, Mike Bosman (58), follows in the footsteps of a veteran of the South African restaurant industry Allen Ambor (77) who recently retired. 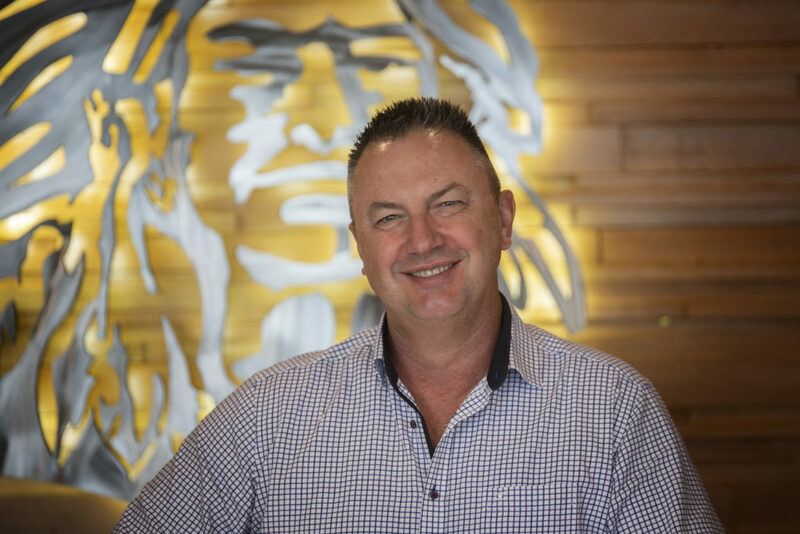 Allen founded Spur Steak Ranches in 1967 and since then Spur has grown into a multi-brand franchisor with over 600 restaurants in South Africa and internationally. Mike is best known for his stellar leadership in the advertising and media world as group CEO of FCB South Africa and \TBWA and as a board director of the listed advertising agency group FCB Worldwide in New York. His exceptional skill set stems from the fact that he initially trained as a chartered accountant, later qualified as a lawyer and then shifted his interest to the advertising and media industries in South Africa and internationally. Mike has an honours degree in commerce, a master’s degree in law and to top it all, he’s an award-winning pilot who flies jets and helicopters. In his spare time, you’ll find this multi-talented leader hiking in the mountains, playing the piano or indulging his other passion – boats. Mike’s extensive professional and board experience across several sectors will stand him in good stead as he takes on the challenge to steer the Spur Group over the next few years. He has been a fan of Spur restaurants since childhood and his wife Sabine and two daughters Lisa (25) and Aimeé (23) are just as thrilled about his new appointment. Spur has been one the Bosman family’s favourite restaurants. What is your first memory of Spur Steak Ranches? I used to go to SACS Junior School in Dean Street where the first Spur opened in Newlands in 1967. From the Golden Spur to the bottom gate of SACS was probably 100 metres and I couldn’t wait to go there from time to time with my parents. It was a supreme treat and the food was always fantastic. I can clearly remember Allen Ambor and his business partner Brian Bloch in the Golden Spur in those days. They had a particular way of rushing around the restaurant – they would always lean into the tables when they were walking around. Super-efficient, Allen is such an inspiration, his passion for the brand for over 50 years is truly amazing. What’s been the highlights in your career that equipped you for your new role at Spur Corporation? My career hasn’t been one-dimensional. I have a natural curiosity about many things in life. I initially trained as a chartered accountant and then I studied law. I ended up working at Investec at their project and corporate finance division. One of my clients happened to be an advertising agency and I found that advertising was a perfect fit for me. It was interesting to work on jam products in the morning and a cellphone campaign in the afternoon or ads for baked beans or tyres. I was able to bring an understanding of business – the importance of sales, market share and return on investment – to a situation that involved a lot of persuasion. The world of advertising is fundamentally the world of language, music and art. I happen to love all three and it was great to merge my interests with my business know-how. I really enjoy sitting on the bridge between the world of business and the creative world. What is the role of the independent non-executive chairman within Spur Corporation? The chairman needs to ensure that the board of directors operates efficiently. The chairperson concerns him or herself with the governance – how we are doing, what we are doing to be most effective and efficient. A big part of the job is to ensure that the group adopts a set of strategies that are appropriate and will allow us to grow. Our responsibility is to act in the best interest of all the stakeholders. I meet frequently with the CEO and the senior executives and then manage the board process and the subcommittee meetings. You are passionate about transformation. What is your vision for Spur Corporation in this regard? The importance of transformation in any South African company today cannot be overstated. It’s critical. When I go to restaurants in the Spur group I see South Africans of all backgrounds eating and working there – right through from managers to waiters and cleaners. It makes me happy, because Spur is a proper, gigantic home-grown South African brand. I can’t tell you how much I missed the people of South Africa, the languages and the sense of mischief and humour while I worked in the US. I’m incredibly optimistic about South Africa. I’m not sitting here gnashing my teeth wishing I was somewhere else. I’m here because I’m really keen to be here and want to make a difference. Some observers are not optimistic about South Africa’s economy. What are your priorities in dealing with these challenges? We’re in a very tough space economically in South Africa. We’re operating in a highly constrained consumer environment. This presents a huge number of challenges for any business. But for those that are smart enough, it creates opportunities. I believe it’s very important that our franchisees do well. We’ll do anything possible for the people who work in our nine brands to support them so they can do as well as they can under the circumstances. It helps a great deal that we have highly experienced executives in the Spur Corporation who have been through good and bad times before. I’m the kind of person who likes to be involved in fixing things and building things as opposed to someone who just watches from the sidelines. I’m more of a builder than a maintenance engineer. How do you see the role of a business that operates in a country that still has so much inequality? I think it’s difficult for any company to be all things to all people in South Africa because of the huge amount of diversity we have. At Spur, we operate in niche markets, but at the same time, we do whatever we can with our various CSI programmes to help people who are disadvantaged. We have an obligation to help where we can and to invest in our country. I think we’re doing this already on so many fronts. What opportunities do you see for growth in the Spur Corporation? A major priority is that we grow as a group, but that we also grow our people. I think our strategy will include a range of possibilities including redoing and opening and repositioning restaurants where appropriate. Acquisitions in different territories could be a part of the strategy as well. Our focus will always be on what we can be doing better and more efficiently while making sure our franchisees are doing very well. What challenges do you see in the new media landscape, especially in terms of social media? In managing media today you have to be very flexible and agile. It’s a 24-hour-a-day job and due to social media, it’s no longer one-directional. We’re going to have to be increasingly clever at managing big data in future. We’re going to have to look at artificial intelligence and machine learning environments to manage our business and our customer base efficiently. When I was in advertising we used to own media buying houses – from print, TV, radio and outdoor advertising. I served on the board of Primedia that owned radio stations such as 702 and Cape Talk and Ster Kinekor. It was very educational to work in that media space. Later, I was involved in digital media in the retail environment. I’m fascinated by the media because it’s all linked to communication and the performance of brands. What are your preferred sources of news? How do you use technology in your personal life? I’m probably far too close to my phone than I should be! I’m on Facebook and Instagram but I’m more responsive than creative – I don’t produce much content myself. I’m also an active user of LinkedIn as most people in business are. I stay on top of the news through a broad range of news sources from Daily Maverick to newspapers, BBC, CNN and News24. The style that I most often adopt is a consultative leadership style. I really like to hear the views of everybody around me. And I love to learn from other people’s experience. But ultimately I understand that I’m responsible for the decisions I make. If I’m faced with a crisis and there is a need for instant action, I’m comfortable to make autocratic decisions. But there is also a time and place for a more relaxed laissez faire leadership style. Sometimes I just go with the flow. What is your personal philosophy in terms of business? It’s very important to do the right thing. It’s not always easy and may sometimes require a level of courage. It can be quite a lonely space. As you get older you get better at working out how to allocate your time. When I was younger it was brutal, because you try to balance your time but you end up working late into the nights and often at weird times right through the weekends. My daughters are 23 and 25 now and my nephew – my wife’s sister’s son – came to South Africa when he was 16 as an exchange student and he’s stayed for twelve years. So he’s kind of like my son. Our kids have flown from the nest and we’re happy to see them find their own way. What do you do when you want to relax and just take your mind off things? I love being in nature and I love flying. It helps me relax because when you fly you can’t think of anything else. I’ve been flying since I was 18, so it’s 40 years now. Later on, I became a professional pilot, flying aeroplanes and helicopters commercially. In the old days, I used to fly the helicopter for the Good Hope FM traffic report in the mornings and on weekends the beach reports. Afterwards, I’d go home, have a shower and then go to the office. I also love music and reading and travelling. I love reading non-fiction and autobiographies of people. I read so much on social media and that sometimes leads you down a certain path. My music taste is also very eclectic. I love listening to Eminem as much as I adore Chopin and Mozart and Beethoven. I also used to do quite a lot of mountaineering, it’s also very helpful to get perspective. Is there a lesson from being a pilot that you apply in your general life? When youlearn to fly you’re always taught to think about what to do when things don’t go according to plan. What flying teaches you is that not everything will work out exactly like you expect or want it to every time. It teaches you to think preemptively of solutions to whatever could go wrong so you can do the right thing under pressure. Bosman is an Afrikaans surname, did you grow up speaking Afrikaans? Yes, my dad’s name was Jan Christoffel Bosman and my mom was Kathleen May Blue. My mom was English and my dad was Afrikaans. I grew up bilingual, but when I studied at an English university and lived in the US, English became my main language.